Aluma Vue open panel aluminum window awnings are designed to allow you to see out from inside your home while at the same time protect your home from the elements. These open panel aluminum awnings can be tailored to fit windows sized from as little as thirty inches wide all the way out to one-hundred and two inches wide. 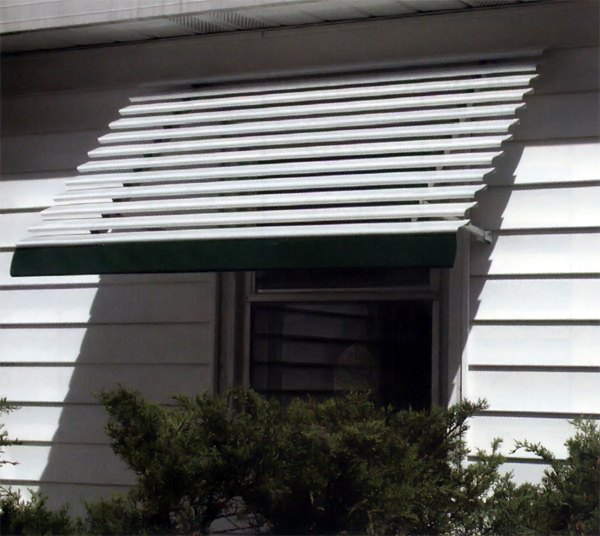 There are nine different awning projections going from twenty-one inches out to forty-two and one-half inches. The Aluma Vue aluminum window awnings are designed to be "no rust" having their beautiful colors applied with baked on enamel. Whether you choose fabric or aluminum you will still receive all the great benefits which are derived from quality awnings particularly their cooling effect and sun protection in addition to an especially attractive home accent.